The Xbox One can play certain Xbox 360 games, Xbox Live Arcade games, and even original Xbox games. There are no costs involved, so you can freely play all of your old compatible games if you're still holding onto the discs. It is a little more complicated than just inserting an Xbox 360 game into your Xbox One and playing though, and you'll need a high speed internet connection to download updates for each game you want to play. Backwards compatibility works the same on all Xbox One consoles, including the original version, the Xbox One S, and the Xbox One X. The only differences are that consoles with more hard drive space can store more backwards compatible games, and a handful of backwards compatible games have been enhanced for the Xbox One X. What Xbox Games Have Backwards Compatibility on Xbox One? Microsoft has devoted a lot of resources to backwards compatibility over the years, and new games are added on a fairly regular basis. Some of these games are even enhanced for the Xbox One X, with higher resolutions and better color details. You can find out if a game you own is compatible by inserting it into your Xbox One. If you get a prompt to download an update, that means it's compatible. If you want to check on a specific game, Microsoft maintains a list of all backwards compatible Xbox 360 and Xbox One games. Do Digital Xbox Games and Xbox Live Arcade Games Have Backwards Compatibility? The Xbox 360 introduced two innovations: the ability to buy and download digital copies of games, and Xbox Live Arcade games. Just like physical Xbox One games, many of these are also available to play on your Xbox One. In fact, Microsoft has a record of all the digital games you purchased on your old Xbox 360. If any of them are available as backwards compatible titles on the Xbox One, and you're still using the same Xbox Live account, you can download and play them on your new console without paying anything. Backwards compatibility on the Xbox one relies on emulation. What that means is the Xbox One doesn't have the hardware components required to run games from previous generations, so it uses software. Instead of running your disc-based games through an emulator, Microsoft has taken a slightly different route. Each backwards compatible game has been tweaked, packaged with an emulator, and made available for download. When you insert a backwards compatible game into an Xbox One, your console verifies the identity of the disc and then provides you with the option to download an update. This update is actually the entire game packaged with an emulator. Even though Xbox One backwards compatibility requires you to download a modified version of each game you want to play, and you don't actually play the game on your physical game disc, you still need to have the disc inserted. Microsoft uses this as a sort of protection to make sure that you actually own the disc, and to prevent you from downloading a backwards compatible copy to your console and then selling the physical disc. Turn on your Xbox One, and make sure it's up to date. Insert an Xbox 360 or Original Xbox game. If the game is backwards compatible, you will see the following message. Select Install to proceed. Once the download process has finished, launch the game to play it. If you don't have the game disc inserted, you will see the following message. Select Close, and then insert the game disc to proceed. You can install as many backwards compatible Xbox 360 and Xbox One games as you have space for. If you run out of storage space and have to delete a backwards compatible game, you can always download it again later. You may also want to consider upgrading your hard drive or adding external storage. In addition to backwards compatibility with physical game discs, you can also play digital copies of old Xbox 360 and original Xbox games. That means if you ever bought a digital download of a game on your Xbox 360, and that game is backwards compatible with the Xbox One, it will be available for you to download and play free of charge. If you ever purchased any Xbox Live Arcade games on your Xbox 360, these are also available to play on your Xbox one. 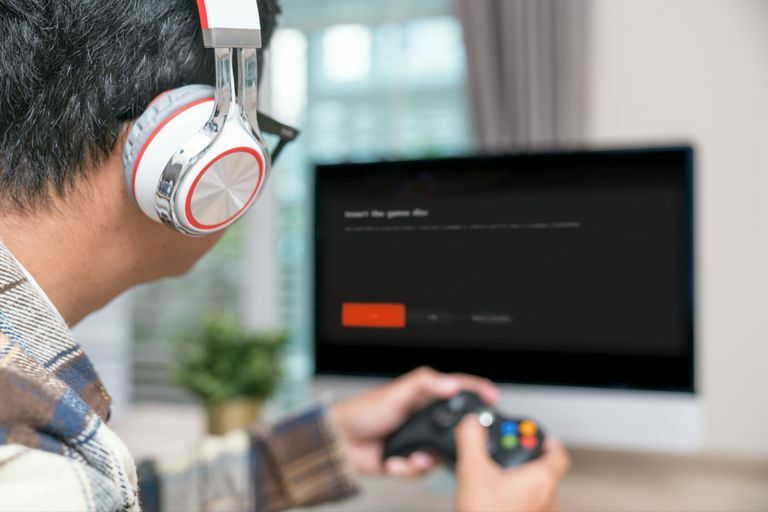 When you buy a digital copy of an Xbox game or an Xbox Live Arcade game, the purchase is tied to your Microsoft account through your Xbox Live account. So if you're still using the same Xbox Live account on your Xbox One that you used on your Xbox 360, you're good to go. Turn on your Xbox One and make sure it's fully updated. Press the Guide button on your controller, and navigate to My games & apps. Navigate to Games > Ready to install. If you don't see your games, use the filter option to show Xbox 360 and Xbox games. Select a game to install. Repeat this process to install all of your old Xbox Live Arcade and digital download Xbox games.